estate business facelift its online presence. Aarhus Mæglerne had already created an impact on the local market as a respectable real estate agency, but with the competition rising, both locally and nationally, the race intensified. Here is how we helped Aarhus Mæglerne, in collaboration with two other agencies, facelift their online presence in order to maintain their top leading position. With the wish of changing their estate data provider, Aarhus Mæglerne looked for a digital image re-branding. This had to come with a new web solution, based on a seamless WordPress integration, to facilitate the “talk” with the new provider’s API. 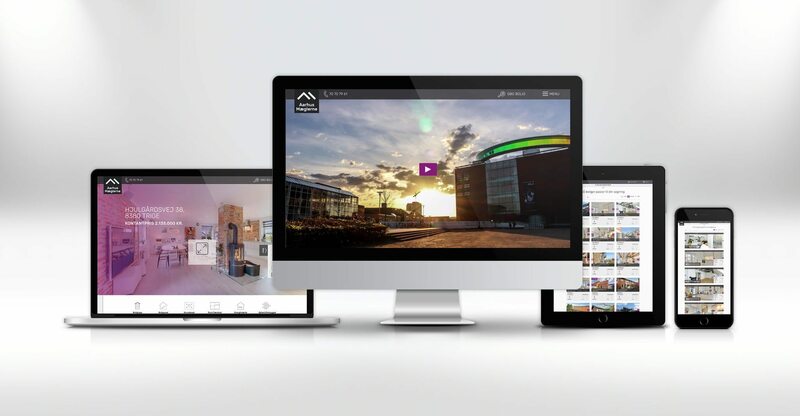 The Muser Entertainment development team, FVCmedia, created a modern, smart digital platform for Aarhus Mæglerne where every feature was programmed with speed and usability in mind. 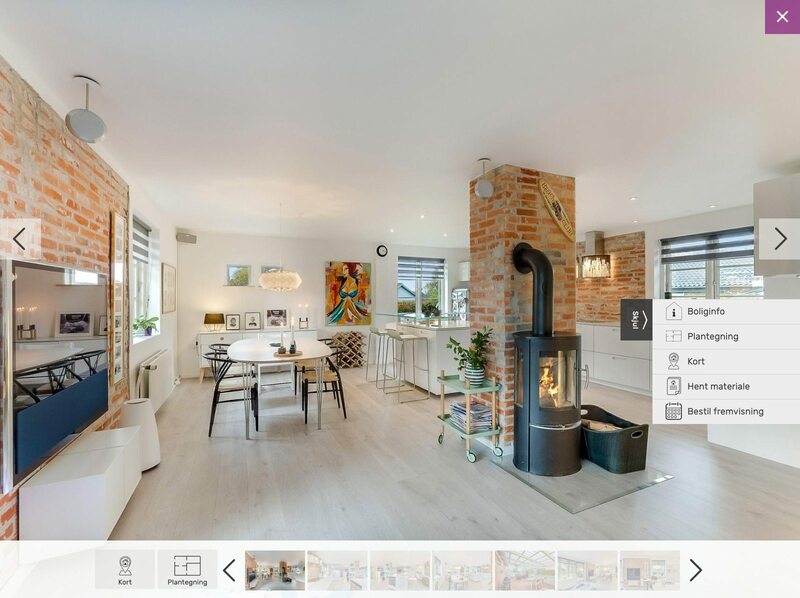 This not only resulted in an easy-to-use solution for the customer but also placed Aarhus Mæglerne at the same level with the biggest Danish agencies in the real estate branch. 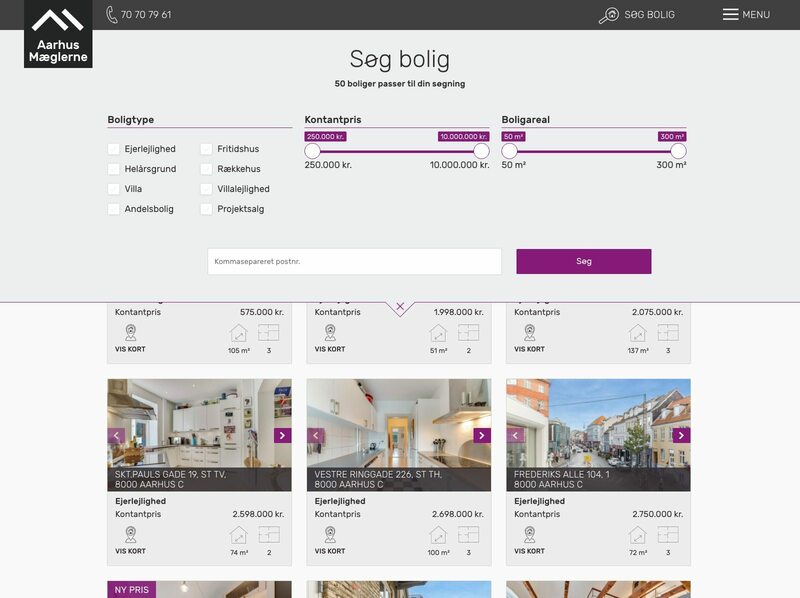 We built the Aarhus Mæglerne’s home page with the speed, performance and SEO in mind. It features a top slider, with the ability to add a striking full width video, which will start auto-playing a muted version in order to catch user’s attention. 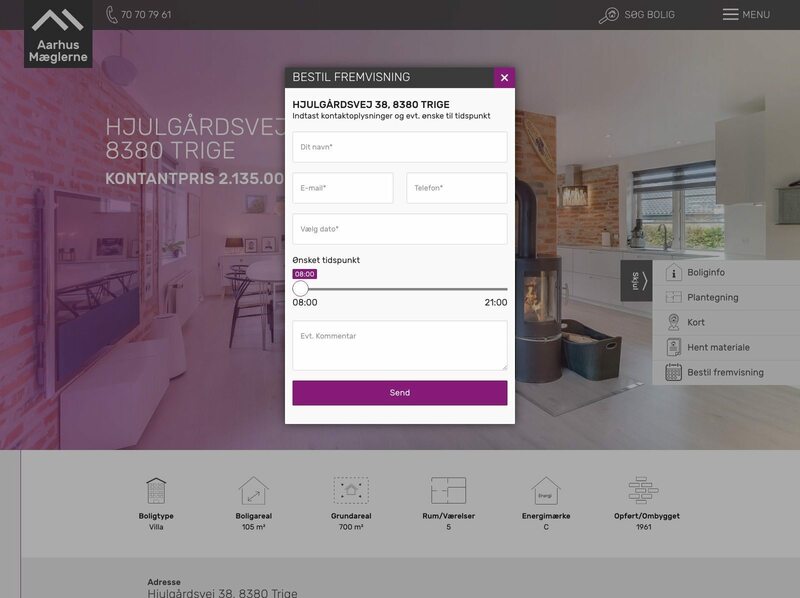 The revamped property pages capture the standards of the Aarhus Mæglerne services and help funnel visitors, both buyers and sellers, towards taking a further action. Each individual property page is beautifully reflecting it’s location energy and surroundings. 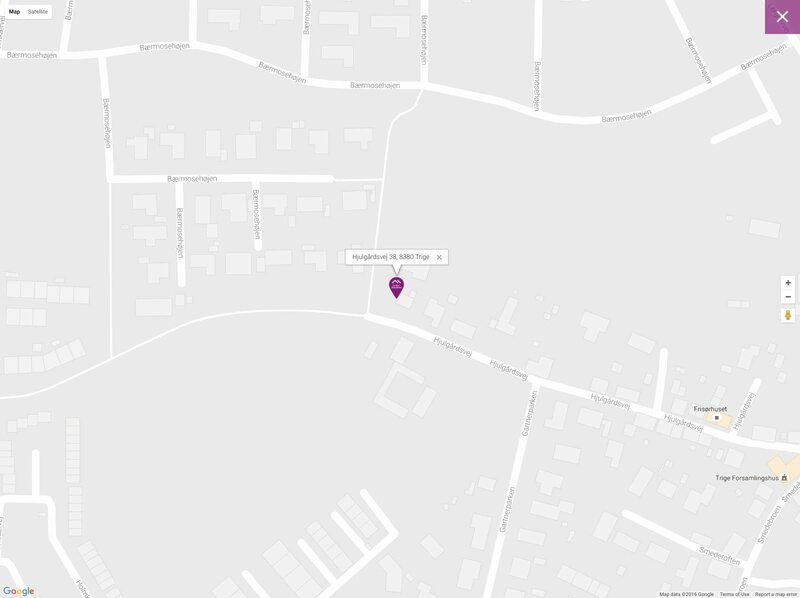 We integrated in the property detail page smart on-page submission forms, triggered by multiple call-to-actions, placed in the most accessed locations and a fullscreen view for images, plans and map which fits to each device screen. Our comprehensive implementation of AarhusMaeglerne.dk redesign introduces new powerful visuals and experiences to the site that work smooth on every screen size, browser or device. 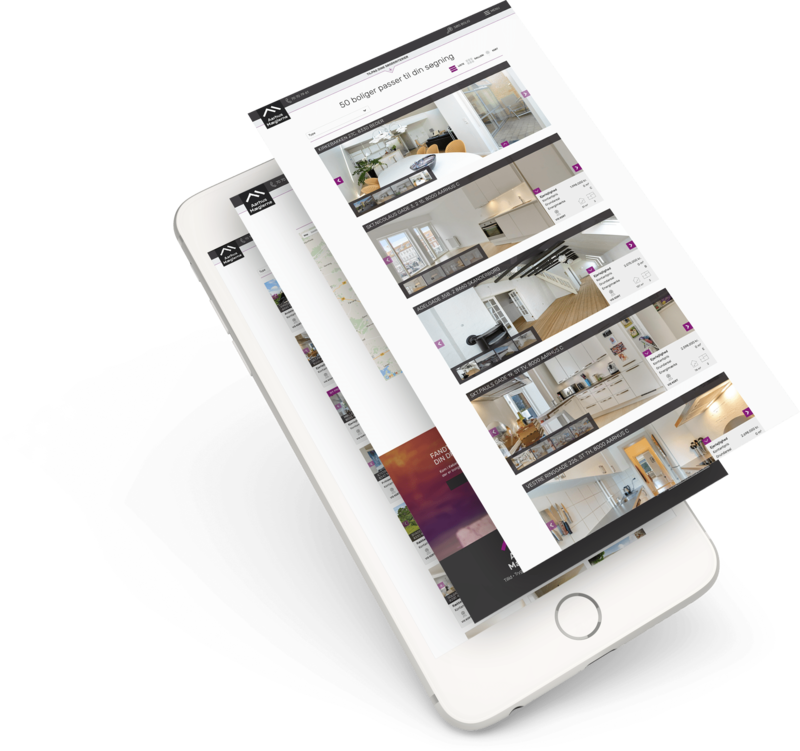 Three adaptable layouts offers to the property search page a better browsing experience even on smaller screens. 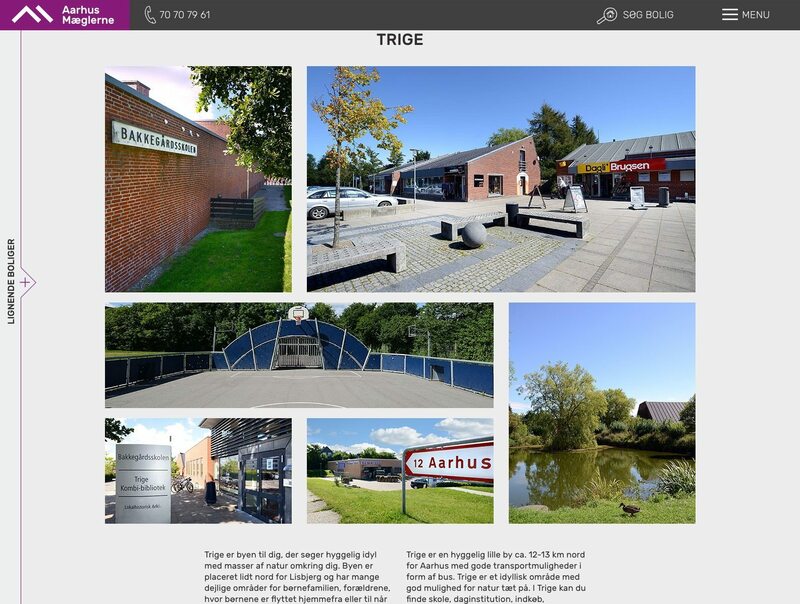 Our solution helped Aarhus Mæglerne face-lift their online presence, leading to users engaging often and longer with their website while facilitating the data integration with a new provider.